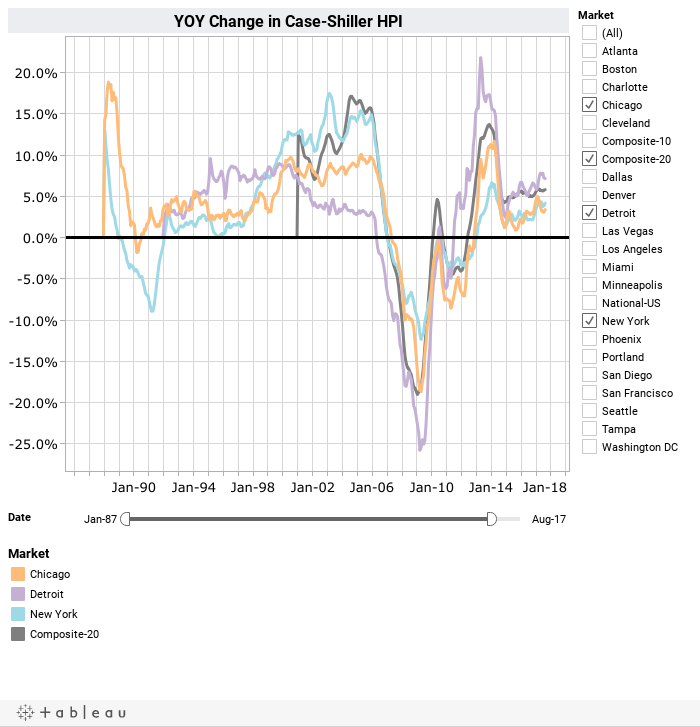 Let’s have a look at the latest data from the Case-Shiller Home Price Index. The S&P/Case-Shiller Home Price Index is the industry's gold standard for tracking changes in the value of residential real estate nationally and in 20 metropolitan regions, including Detroit. This year's report was nothing less than outstanding. Detroit is one of the top performers in Corelogic's Case-Shiller index report for Q3 2017. While the nationwide average for home price increase rose 5.9% in 2017, Detroit's year-over-year gains were 7.2%. Impeccable figures such as five-year and three-year home price gains through 2017 highlight Detroit’s 48.2% and 16.2% increase respectively. Furthermore, as you can see in the interactive chart, Detroit's YoY gains (in purple) continue to be on a positively increasing trajectory, and perform much better than other markets including New York, Chicago, Los Angeles, Miami, and Atlanta. 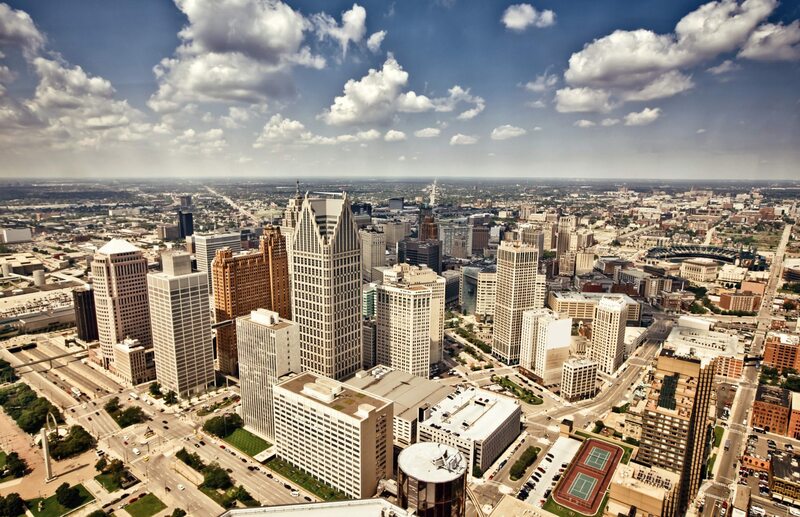 We believe that the Detroit housing market has hit bottom lows and has been on a continual rise again. But don't just take our word for it: Check out the interactive chart, see how Detroit compares to the other 20 US metropolitan housing markets and find out why our worldwide clients are investing in Detroit real estate! Nobody knows the Detroit Real Estate Investment market like we do, which allows us to offer the most profitable investments.